Like the Second World War and Korean War veterans and those who were released from the CAF prior to April 1, 2006, members of the Royal Canadian Mounted Police are covered under the Pension Act and eligible to become clients of Veterans Affairs Canada. However, there are great differences in the veterans’ benefits available from Veterans Affairs Canada to members of the RCMP. According to a website developed by the Office of the Veterans Ombudsman, there are some sharp differences in what is available to Second World War or Korean War veterans and veterans of the RCMP. Disability Benefits: Both groups are entitled to Attendance Allowance, Clothing Allowance and Treatment Benefits, but war veterans also have access to the Veterans Independence Program; war veterans allowance; funeral, burial and grave-marking assistance; long-term care, and prisoner of war benefits. Neither group is entitled to the financial advice, detention benefits, career transition and transition interviews that are available to currently serving members. Acts and Regulations: Both groups are covered under the Pension Act. War veterans are also covered under the War Veterans Allowance Act, Veterans Health Care Regulations, Veterans Burial Regulations and Children of Deceased Veterans Education Assistance Act. 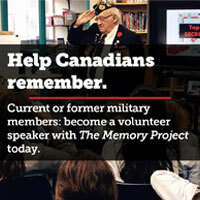 Neither group is covered by the Canadian Forces Members and Veterans Re-establishment and Compensation Act, more commonly known as the New Veterans Charter. Other Supports: Both groups may be eligible for support from Operational Stress Injury Social Support, and receive support for mental health, military family services and the Public Service Dental Care Plan. Also they may be eligible for the Helmets to Hardhats job transition program and have pastoral outreach available to them. It’s a hard thing to judge: how happy are Canada’s veterans with the job being done by Veterans Affairs Canada? There are always one or two hot-button veterans issues in the press, but there’s no way to draw general conclusions from just a few issues, no way to know whether the issues are all connected in a pattern of poor service or if they are merely isolated problems. So we decided to ask them directly. In our May/June 2013 issue we placed a one-page Veterans Benefits Survey with 15 questions that readers could answer. Readers were welcomed to fill in the survey and mail or fax it to our office at Legion House or they could fill in the survey online through our website, www.legionmagazine.com. Research House, a division of Environics, was hired to compile the responses to this nationwide survey. Well, the results are in and many of those who responded are not happy. Canada’s veterans are not happy with the level of service or benefits they are currently receiving from Veterans Affairs Canada. Of the nearly 2,200 readers who responded to our survey, a staggering 96 per cent were either veterans or currently serving members of the Canadian Armed Forces or Royal Canadian Mounted Police. And with almost three-quarters of respondents currently receiving benefits from VAC, this is definitely a group with the right qualifications to make such judgements. Nearly half of the respondents answered the question in the most negative way possible, indicating they believe Canadian veterans are poorly served. Meanwhile, nearly a third of respondents said they were adequately served while just 12 per cent felt they were “well served.” Overall, 77 per cent of respondents indicated some degree of unhappiness with their answers. Beyond the general question comes a veritable laundry list of specific complaints. Among those who’ve used the veterans transition service more than half say it was “not useful.” Of those veterans who have had a final decision reviewed or appealed, an overwhelming majority are “not satisfied” with the process. Nearly half of respondents indicate their income from all sources is not keeping up with the rising cost of living. The results were not uniformly bad, however, with 34 per cent of respondents saying they were either very or somewhat satisfied with the rehabilitation and treatment programs offered by VAC. Thirty-one per cent were unsatisfied. The one real bright spot in the survey is the success of the Veterans Independence Program at helping veterans stay at home. Overall, nearly half of respondents said the program was either very or somewhat helpful and only 13 per cent said it was not helpful. According to Rohitkumar Shah of Research House Inc., based on statistical sampling norms, the overall margin of error for the 2,199 surveys returned is approximately plus or minus 2.09 at a 95 per cent confidence level.